not from stars do I myopia pluck. in favor of plumper Bottom, pricked by Puck? Pass over Fools? Forego Mercutio? but forget the pretty chickens of MacDuff? This entry was posted on April 23, 2016 at 9:45 am and is filed under poetry, Uncategorized. You can subscribe via RSS 2.0 feed to this post's comments. Honoring the poet and the form…this was great fun to read. Ha, thanks, Steve. Hope all well. k.
I just had one of those ‘I wish I had written this’ moments. This is a stellar response to the prompt, and such a stylish sonnet too. Oh, my. Just fantastic. You have a wonderful grasp on his works, and you’ve culled a bouquet of beauty, here. Just wonderful. Oh I love it.. and so apt for the prompt. We can just smile at it all.. how can we ever have anything but the complete… it would be like open heart surgery to remove even a tiny bit. Such a fun walk through bits of Shakespeare. I love how you have identified little images and characters in Shakespeare and then run with them. Regarding the odd message, an odd message popped up with the Real Toads website yesterday and again this morning when I attempted to read Kerry’s last post and visit links. The message says it is a suspicious website and blocked it. But then on the second attempt, I accessed it. Maybe just a glitch. Ha. Well, thanks, Angie. 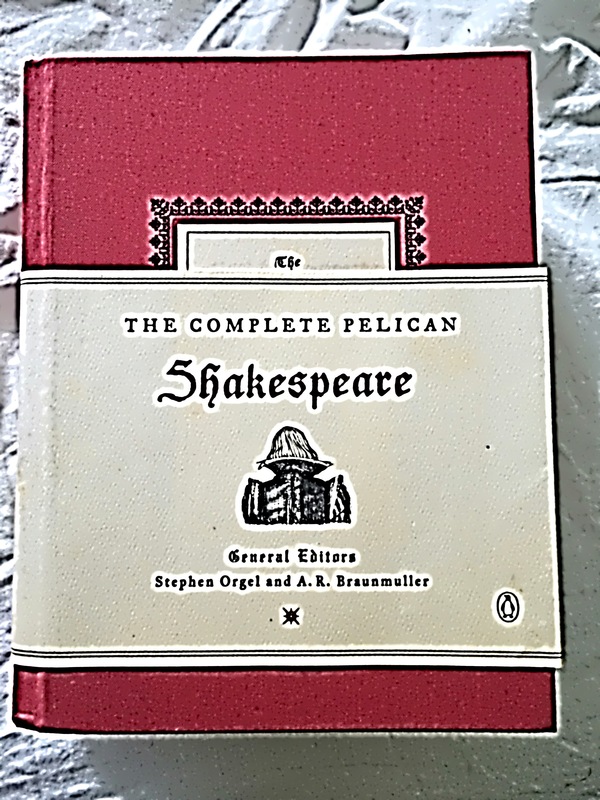 K.
I have only the Shakespeare Reader, because it has the sonnets–but only excerpts from the plays–it makes you read them as poetry a bit more I think, but also is frustrating as they are narrative that you want to see continue on–lots of fun in this one, k. Enjoyed it. ps — the book is my chidren’s in fact! I got them each a complete book for a graduation present! I once bought a full set of used individual plays, but I mainly just had old little assorted folgers and now my great phone app. I think the reader sounds quite nice as you can find best speeches. k.
I love the collection of favorites!